made sweet: pay it forward. the game: The first three people to comment on this post get a handmade gift from me! So whoever you are, wherever you are, if you're willing to chance whatever this handmade item might be (?!) then go ahead and comment. the catch: You now get to pay it forward! the rules: Technically, the rule is that you do this same thing on your blog. 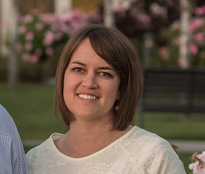 (I was one of the lucky three on my cousin Kate's blog!) But let's switch it up. Let's say you can do it on your blog, or you can promise to pay it forward some other way—to someone you know who needs a pick me up, to your grandma for being so great, or to the next person you run into while walking into the grocery store. Get creative. Spread the love. Huzzah for free gifts, especially on a Monday, but even more huzzah to paying it forward. 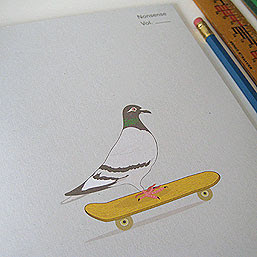 So, what about that pigeon on a skateboard pic? Does that have anything to do with the giveaway? No. I just like it. And I found it here. What What! I win, give me something! Alright alright, I will pay it forward...and it will be good. oooh yay! I love to pay it forward. oooh! this is super fun! I may borrow this idea soon... thanks for spreading the love! I am way too late. But I do like the pigeon on the skateboard.